Well we're well into September now, how are we all doing with our Christmas cards?! Starting to panic a little so thought I'd have a go at one with less stamping and colouring to try and and make a quick card. Mind you my quick card making can still take me a while - thought I would be getting a bit faster by now, but no! 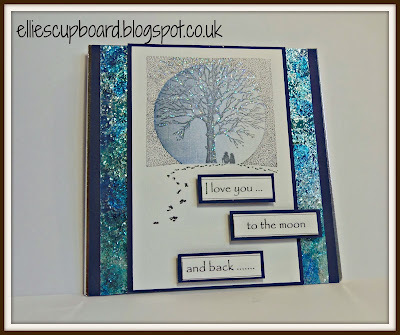 Using dies has made things a bit easier but I'm still practising so I reckon this card took me a couple of hours to do. Very often though it's waiting for things to dry that takes the time up. 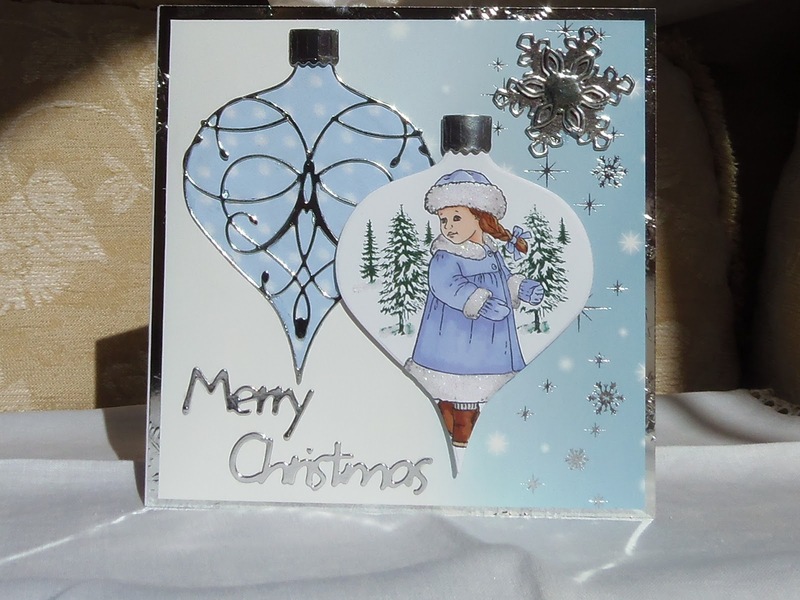 Stamps - Jayne Nestorenko 'Playing' from her Christmas Adorables range. I stamped the little girl first and made a mask for her before stamping the trees from the same set of stamps,for which I used Adirondack ink pad in bottle. I coloured her with promarkers and then glittered the fur parts. This bauble was mounted using foam pads to make it stand away from the other one. Dies - Memory Box, La Rue and Drop Ornaments; Spellbinders, Create a Flake Four ; Marianne for the sentiment. The left bauble was done by using the Drop Ornament to cut a piece of backing paper from Jayne's Christmas Adorables CD and then by overlaying the La Rue Ornament cut out in mirri board. The snowflakes are simply done using 2 different sizes laid one on top of the other. 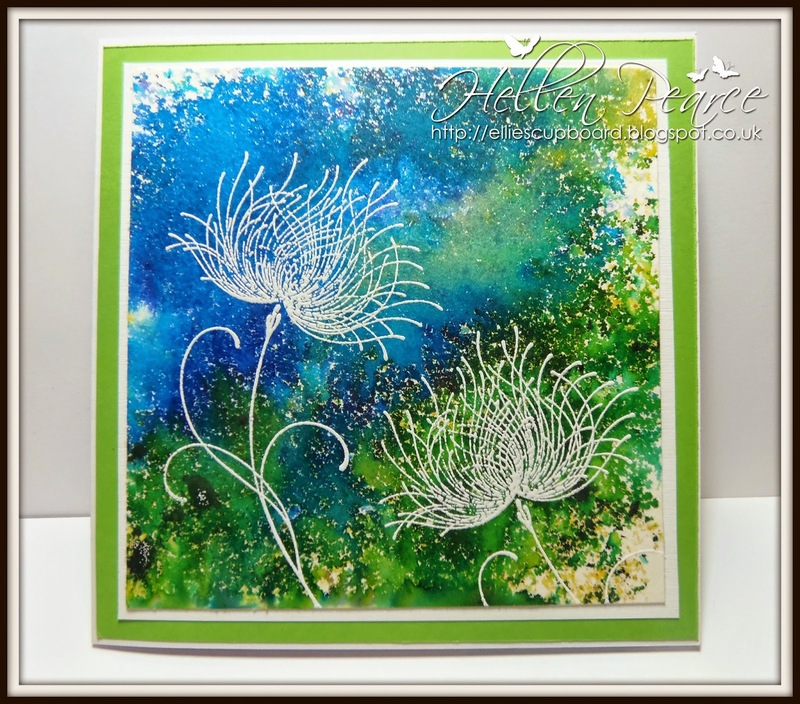 Background - Hunkdory snowflake card matted onto silver mirri board. Well onwards and upwards - got a few specials to do and try and fit in Christmas cards when I can!